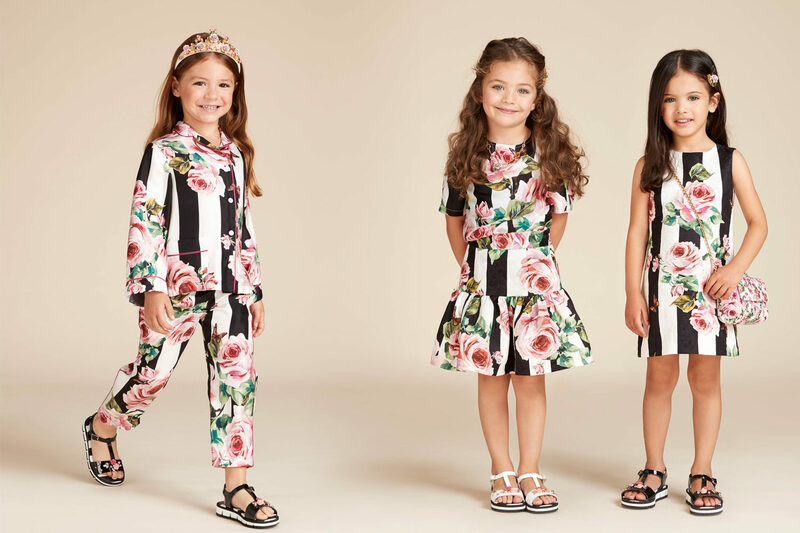 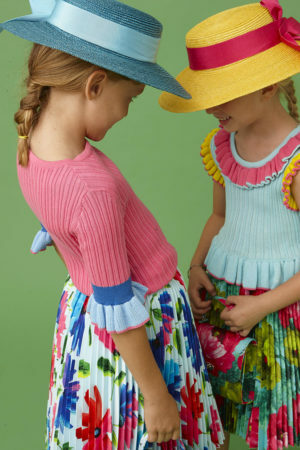 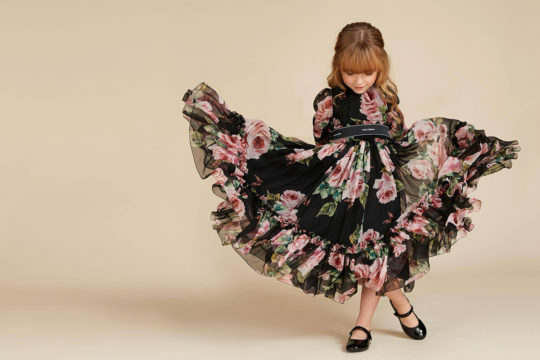 For little girls, the Spring Summer 2018 collection is resplendent with florals, florals, and more florals. We dare you to resist them—pink roses reminiscent of English gardens are set against solids or a background of thick black and white stripes, upon tiered, ruffled dresses, shifts, and A-line numbers. 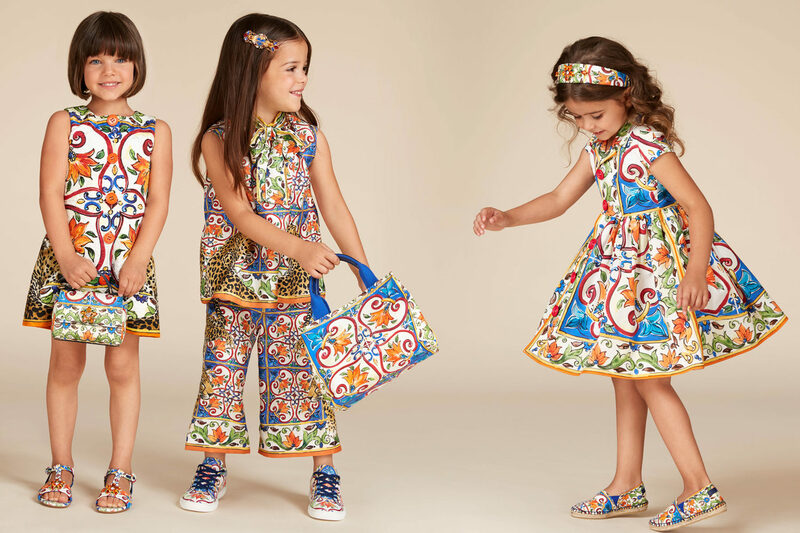 We are equally enamored with the tile print dresses, and especially the regal leopards lounging like royalty on palazzo floors. 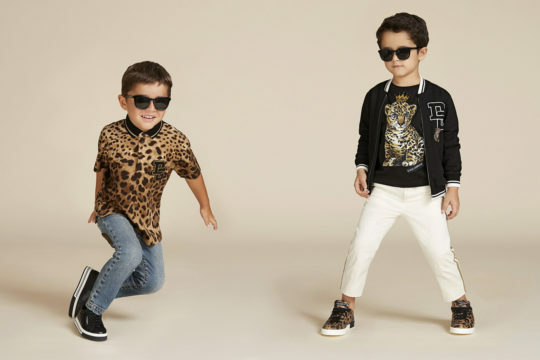 The leopard print reaches its full expression in the boy’s collection showing up on everything from sporty tees, shorts, and sneakers to bomber and denim jackets with bold patches. Roar. 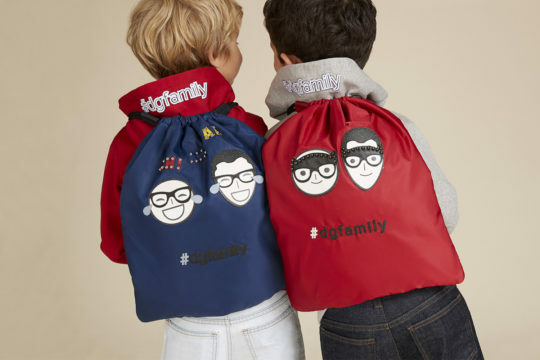 For the littlest ones, logo tees, fun character, and adventure prints adorn cute and comfy onesies, separates, and hoodies.